In the West, most people have never heard of Mid-Autumn Festival, which is primarily an Asian holiday. 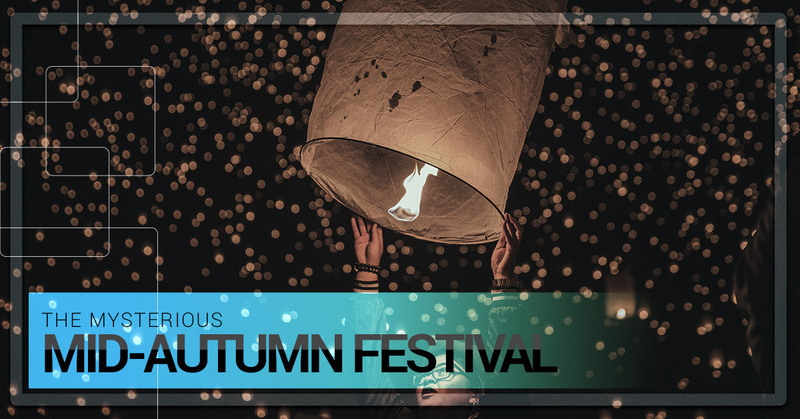 The exact date each year of the festival changes each year, but it is always in the fall between September 8 and October 7. The festival occurs on the 15th day of the eighth month of the Chinese calendar and the highlight of the festival is a gorgeous full moon. As with many Chinese holidays, folklore abounds. However, you don’t have to be the Moon Goddess of Immortality to enjoy some of the best aspects of Mid-Autumn Festival. Mooncakes can best be described as a solid pastry with multiple sweet or meaty fillings. They are about as dense as fruitcake in the West and are primarily purchased to give away as gifts. Unlike fruitcake, mooncakes have more diverse flavors and go well with tea. In recent years, new varieties that suit Western taste buds such as peanut butter, chocolate or coffee flavors have appeared at stores to replace the standard and unappetizing red bean paste or egg yolk filling. You’ll know after one bite whether you’re a fan or not, but make sure to try all the flavors before kicking mooncakes to the curb. Buy a cheap box full of mini-mooncakes and sample away. Once you’ve found your favorite, you can then impress your Chinese friends by chowing down a large number of them during the holiday. The second best part of Mid-Autumn Festival is the nighttime festivities. Watching lanterns of various shapes and colors light up the night sky can have a magical feel about it. Many people write wishes or prayers on their lanterns before sending them up to the heavens. While lantern lighting might not be the most environmentally friendly practice, it does make for a fun night out. If you are lucky enough to be in China during Mid-Autumn Festival, you will likely get the day off of work and may be invited over to a friend’s house. As with any holiday in China, the more friends, family and food around, the better.